D&S Steering Service of New Orleans carries all the automotive products you need to repair, upgrade, or maintain your vehicle. The products listed below are just some of the items we have available in our inventory. We also have all the hoses and belts you could ever need for your vehicle, including the timing belt. These hoses include the bulk, coolant overflow, flexible radiator, fuel filter, and vacuum hose, along with the fittings and clamps you need. D&S Steering Service also has batteries and accessories available. This includes jumper cables, chargers, charger accessories, terminals, and vent tubes to name a few. We also have suspension products available, including power steering parts, shocks and struts, coil and leaf springs, alignment parts, and coil and leaf springs, along with other suspension parts specific to your vehicle’s make, model, and year. Our New Orleans auto parts store has the items you need to keep your ride smooth and steady while you’re out on the road. We also carry all the products needed for your brake system, including pads, lines, rotors, and drums, as well as brake fluid to ensure you stop safely on the road. D&S Steering Service also provides heating and cooling products to keep your vehicle comfortable year round. 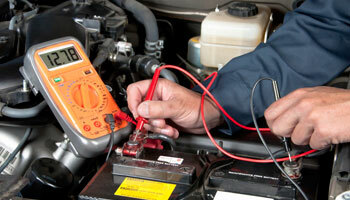 This includes all major and minor HVAC parts such as compressors, air filters, refrigerant, hoses, and blower motors. We also have cabin air filters to ensure the air inside your car is as clean as possible. 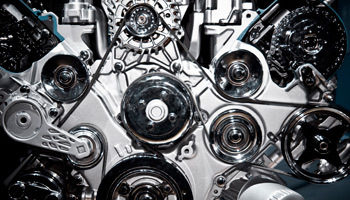 Our New Orleans auto parts store has all the transmission parts you need for automatic and manual systems. We can replace your clutch, driveshaft, differential, flywheel, fuel and transmission lines, torque converter, transfer case and differential, and several other transmission products including mounts, seals, and bearings. D&S Steering Service also has all types of synthetic and synthetic blend motor oil. We also carry brake, radiator, and transmission fluid. Other chemicals we have in available in our products inventory include cans of gasoline for emergency fill ups, fuel injection cleaner and additives, sealers, and much more.